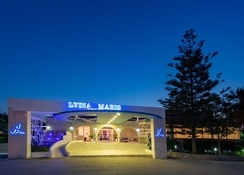 The Lydia Maris Resort & Spa Hotel has a fantastic location in Afandou in the rustic resort of Kolymbia on the east coast of the island paradise of Rhodes. 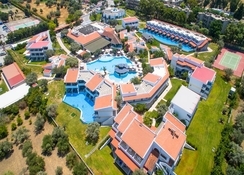 With an emphasis on personal service, attention in detail, relaxation and customer satisfaction, the 4 Star Lydia Maris Resort & Spa Hotel features stylish guestrooms boasting a host of amenities and an Ultra All-Inclusive program that makes holiday-making a breeze! 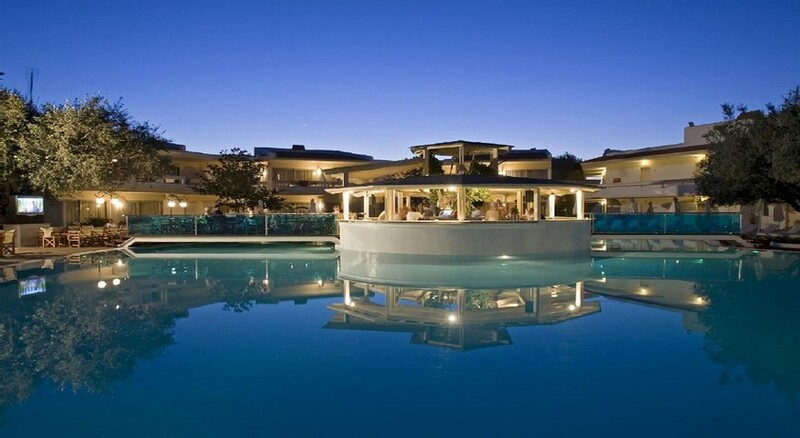 Relax at the sparkling swimming pool, walk to the sandy beach, enjoy delicious meals and excellent service - whatever your mood, the Lydia Maris Resort & Spa Hotel provides everything you need for a superb vacation in sunny Rhodes. 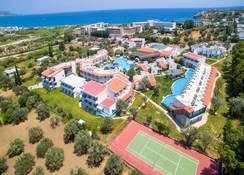 Guest services provided are 24hr reception, currency exchange, internet corner, complimentary Wi-Fi access in public areas, laundry service, pool-towel service (against deposit), babysitting, TV corner, doctor on call, beauty & hair salon, car rental, mini-market and room service (07:00-24:00). Room types available are standard double rooms (2-3 people), premium double rooms (2-3 people), junior suites (2-4 people) and suites (2-4 people). All rooms are air-conditioned and have an en suite bathroom. Rooms also come with a minibar, complimentary toiletries, hairdryer and a satellite television. There are also non-smoking rooms. Gastronomy There are two restaurants in the hotel. The main restaurant serves international dishes for breakfast, lunch and dinner as well as light snacks throughout the day. The restaurant by the pool serves international meals for lunch and dinner. Drinks can be enjoyed on the sun terrace. Room service is also available at certain times during the day. The All Inclusive programme includes all meals; with breakfast and dinner, served buffet style in the main restaurant, and a buffet lunch service at the pool restaurant. During meals local wine, beer and soft drinks are served. A variety of hot and cold snack are available at the pool restaurant 10:00-12:30 and 14:30-18:00. A selection of locally produced alcoholic beverages and soft drinks are available at the pool bar 10:00-01:00 and the main bar 18:45-21:30. In-room mini-bars are filled on arrival with beer, water and soft drinks. Additional charges apply for room service, laundry service, internet corner, doctor on call, floodlighting for tennis court, babysitting, video games, billiards, beauty and hair salon. The hotel is situated within walking distance of resort centre with its bars, shops and restaurants, and about 400m from the beach. The city of Rhodes and the historic village of Lindos are both 25km from the hotel. Rhodes Airport is approx 20km away.